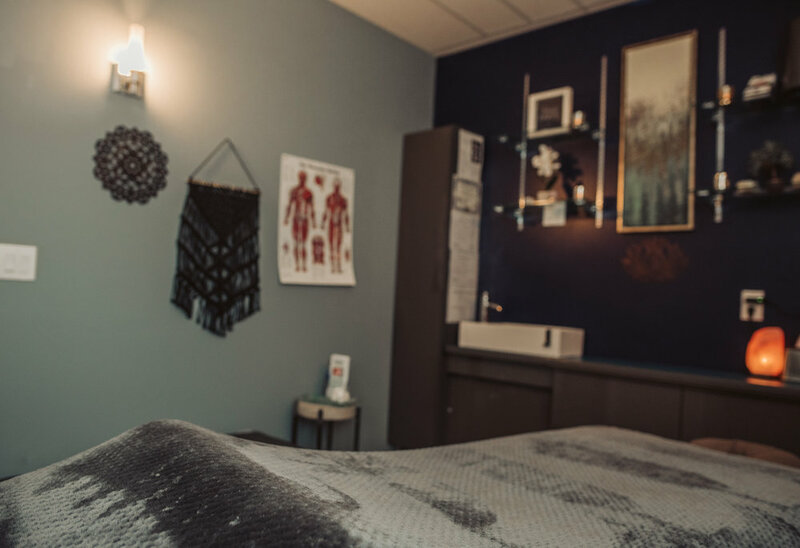 Indigo Massage Therapy is located within a salon/spa called Ashley Nelson Studios at 7917 Santa Fe Drive, Overland Park, Kansas, and is owned and operated by Katie Brock, LMT, CCT, . I strive to create a comfortable space that inspires relaxation, pain relief, and healing. Each massage therapy session is catered to the individual needs of your body at that moment. Whether you receive massage therapy often, or it is your first time in, we will always consult before each session to set personalized goals such as focusing on a specific pained area needing deeper attention, or a lighter technique for relaxation. My goal is to make your concerns and your body heard, and together we can find the next step in your journey to better health! I received my education in 2014 at Wellspring School of Allied Health and graduated in 2016 with a 4.0. The program was about more than massage technique and modalities, as it heavily focused on anatomy, physiology, kinesiolgy, pathology, eastern medicine, and also prepared me for working with special populations as well as common, every-day ailments. I continue to deepen my knowledge about my passion and complete 12+ credit hours every year. I value my education and use it as a tool to help others better understand, and connect, with their bodies to help achieve their specific health goals. I specialize in Hot Stone Massage, and am certified in Cupping Therapy (certified through ICTA) and Vibrational Sound Healing (certified through SomaEnergetics). I believe that we are whole, connected beings and the best approach to healing is to address every aspect; the physical, as well as the emotional and energetic elements of the body.